Let’s enjoy part time job life. 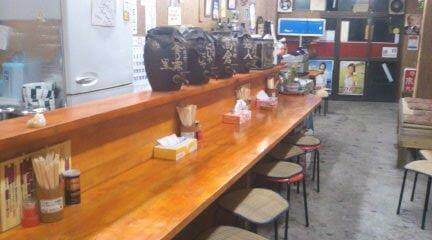 ★It is not as busy as a tavern chain store or a convenience store, so it is not a kitsui byte or a Tribai. ★There are no strict manuals or training, as everyone is inexperienced at first, let me get used to it gradually and remember. ★Since dishwasher has been installed, troublesome dish-washing etc is not available. 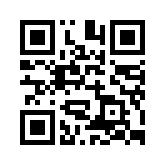 ★Since it is a gentleman regular customer and net attractor, there is no distribution of flyers, quota or fine. ★The shop manager is gentle, so I am able to talk about anything and I am a part-time employee who has no distinctive relationships of human relations. I agree with the Female success promotion law. I am sponsoring the black byte eradication committee. ※ 4 minutes on foot from the east exit of Kamifukuoka station. ※ 4 to 5 hours a day from 18 o’clock. 2 days a week ~. ※ blond hair · brown hair, pierced earring · nail OK. Clothes freedom. ※Since there are a lot of friendly staff, gentle women and gentlemanly repeater customers, they can work safely and comfortably, women are active in the hall / floor managers! · Hourly 1,000 yen ~ 1,250 yen preferential treatment (cash handover rather than bank transfer). · Trial period 1 month (hourly wage 900 yen) Weekly payment possible. ※ In addition, with the effort award and idea prize, there is a prize money payment of 5,000 yen to 10,000 yen a month. · 4 to 5 hours since around 18 o’clock. ※ After negotiating a convenient date and time, we will decide. · Hallmark staff in the store of “Hormone Maruwa”, a popular local hormone roast meat shop. · It is your job to listen to orders, make drinks such as draft beer, and carry your dishes. · If you think that you are lucky. · Blonde · Brown hair, Pierced earring · Nail OK. Clothes freedom. · There is no hard and troublesome training and manual ♪ I will remember little by little each day as I am familiar with it. · There is no distribution of flyers for quota or fine. · Maruwa cherishes the connection between people and people, so it is a shop where cus- tomers and staff value. · Transportation expenses are provided · There is no choice · Uniforms are available. ※ Please contact the interview day by telephone or application form and bring your resume. · The application form (ENTRY) form is available 24 hours. · Application by phone is from 17:30 to 23:00, except Monday. Copyright (C) 上福岡アルバイト All Rights Reserved. Copyright© ふじみ野市上福岡駅のアルバイト募集 All Rights Reserved.